It’s 1994. The holiday shopping frenzy has already begun even though fall has just arrived. To skip the crowds, you decide to shop from home. With your catalog and corded phone in tow, you call to place your order that will then be shipped right to you. It’s easy to forget that home-based shopping and omnichannel sales aren’t new, it’s just evolved with the use of the Internet. In 1994, 98 million consumers purchased $60 billion of goods from home, but that’s a drop in the bucket when it comes to the $452.8 billion that consumers spent on e-commerce last year. In the 90’s, large, innovative stores were able to offer phone-based shopping, but now, the Internet is available to all, and consumers are expecting a fluid experience in-store and online. In the past, retail was focused on how many physical stores could be put in an area without oversaturating the market. Now, retailers must offer both in-store and online, a hybrid commerce shopping experience, that works together seamlessly. “The emergence of e-commerce changed the game. 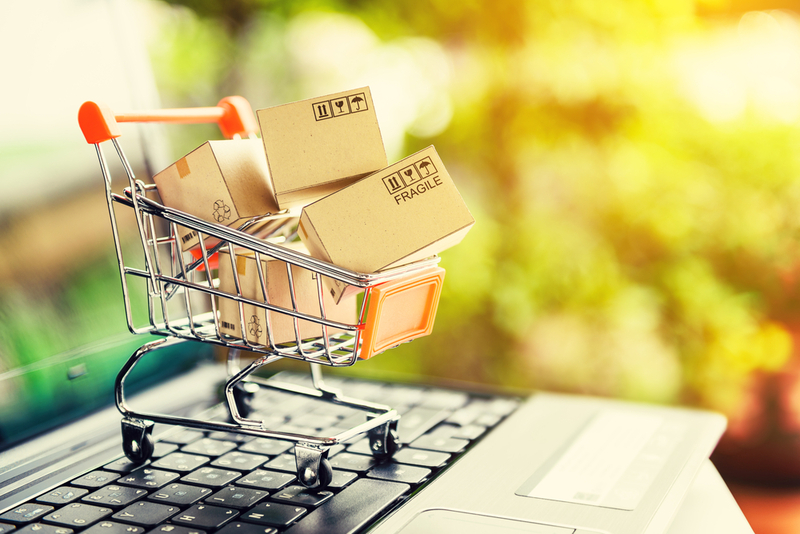 As hybrid commerce has picked up steam in the last five years or so, the question now isn’t how many stores can I put in the market, rather it is what is the right number of stores needed in the market to support an omnichannel strategy,” said Bill McKeogh, a location analytics and data expert with Pitney Bowes. McKeogh explained that hybrid commerce is a “buzzword” for omnichannel retail or unified commerce. “It’s another way of stating that a retailer is working through a brick-and-mortar channel but also through e-commerce or mobile, they are offering their operations over multiple channels,” he said. With multi-channel offerings, customer experience is everything. McKeogh, who works with clients to find the right retail strategy for them, explained that no matter how many stores or how many websites an item can be purchased from, the customer needs to feel no difference. Say you purchased an item online and needed to return it, so you go to the nearest brick-and-mortar store only to be told that since it was purchased online, it needs to be returned there, he said. This would be frustrating to a customer and doesn’t align with the seamless experience expected. Take Kohl’s or Walmart for example, using hybrid commerce, they’re boosting sales and increasing customer engagement. No matter the channel, customers are demanding an easy, fluid experience. For retailers to be successful in the growing hybrid commerce industry, customer experience, consistent service, and the appropriate number of brick-and-mortar locations are crucial. Learn how to leverage data to improve customer experience here.